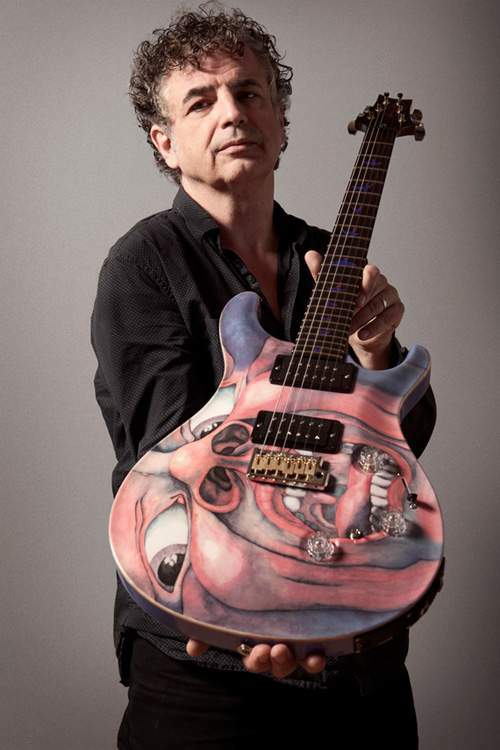 When a new line-up of KING CRIMSON was announced back in 2013, many fans didn’t seem surprised by the choice of the ensemble’s new singer and Robert Fripp’s guitar foil – because, having been in the band’s orbit for years, Jakko Jakszyk felt like a perfect man for the job. 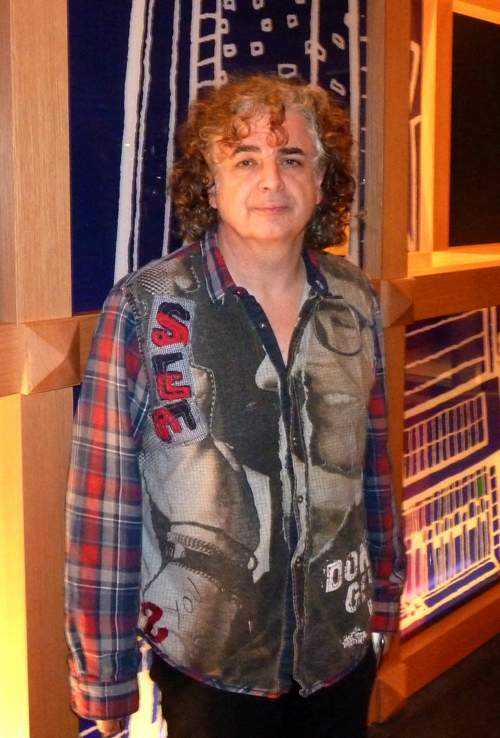 Still, most of the people outside of a prog circle haven’t heard of this artist despite Jakko’s long presence on British music scene and string of serious, and not so serious, records he made or took part in. And though Jakszyk has yet to cut a studio album with his new collective, he cuts a lively figure on stage – as witnessed by this scribe in a few hours after our conversation took place – and that’s no mean feat given it’s CRIMSON we talk about. Yet we talked not only about the power of KING which Jakko gives a new dimension, one of many waiting to unfold. – Jakko, as a singer of CRIMSON, could you say that all your preceding career was only a build-up to this position? I wouldn’t say that. There’s been a lot of parts that have enabled me to end up here. No, I’ve done some things I’m proud of but, obviously, there’s this thing of childhood dreams on some level, because [KING CRIMSON] were one of my favorite bands when I was a kid, so it’s amazing to find myself in the group, yeah. 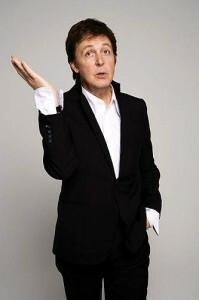 – Everybody sees you as an out-and-out prog rock artist. Are you comfortable with that? Me? When I was younger, what they refer to now as “progressive rock” wasn’t called “progressive rock” – it was called “underground music” – and I was just drawn to music that had other things going for it, other than basic song structure, which doesn’t mean that I don’t like that too, because it’s all down to writing and composition, and you either like those things or you don’t. But I was particularly drawn to music that was in that genre and that tried to expand the existent form and say something a bit more interesting. – So is there basic rock ‘n’ roll hidden deep in your music? Well, I don’t know about that. There are times when I do play in that kind of context, and then it’s quite fun, but I wouldn’t want to do that exclusively. I’m always up for interesting challenges. I have a group with Gavin [Harrison, KC’s drummer] in the band, which is an all-acoustic thing, with [bassist] Danny Thompson and Dave Stewart who plays piano, and it’s nice because it’s different again: it’s always nice to be challenged to do alternative stuff when you get the opportunity. – How many instruments do you play? Oh, I play a lot of things – or I’m trying to get notes out of a lot of things; I’m not sure I would cast myself as being [a multi-instrumentalist]. I play keyboards but I’m not very good; I play the flute but I’m not quite a flute player either… I’m a guitarist, really, that happens to just pick up other instruments and give them a go if necessary. – Was it an ultimate goal from the beginning, then, to become a musician? No. I don’t think I had goal at all. I remember living in a semi-detached house with my adoptive father, who was Polish and had a very strong work ethic: he worked in a factory but he was a carpenter so he made things in his spare time, and we had a reasonably nice lifestyle. And I remember thinking as child, “You know what? If I can have this level of lifestyle by being a musician, then that would be a success.” I’m not sure I had an ambition above and beyond that, I didn’t particularly want to be famous, and that struck me as being a pretty good goal. – How important is this family background aspect to you? I mean you wrote a piece about your past, “The Road To Ballina,” and your Wikipedia page is very detailed. I guess it shapes who I am. I think it was interesting to find my real mother and a full sister I didn’t know I had. It was interesting to go and see them in the place that they live, because if my mother had not have given me up that’s where I would have been brought up. And if I had been brought up in Bearden, Arkansas, which is in a kind of a redneck part of the States… That’s intriguing, not to mention slightly scary, thing, because it hits right home, it’s how much of who we are; innately who we are, how much of it has to do with upbringing and those nurturing circumstances. I find it’s fascinating, and it’s perennially fascinating, because I’m in the middle of it. And that was very scary to go to this town and think, “I could’ve been brought up here, and if that was the case how much of who I recognize myself as now would still exist?” I certainly wouldn’t be the guitarist with KING CRIMSON. That’s highly unlikely. – Does that upbringing of yours somehow inform your music and give it this English melancholy? Yeah, possibly, yes. I mean it wasn’t a very happy upbringing; it was a kind of bleak one. I’m sure it’s informed that, yeah. And it was unusual because my parents were older than most of my contemporaries’ parents, and we lived in a part of England where in the early ’70s wasn’t a lot of integration with different cultures, so it was unusual on that level too, as I was brought up by Polish father and French mother and all of the things that that entails. So I was different to the other kids, and we didn’t have an extended family which was different too much from the kids that I knew: there was no grandparents, there was no family get-togethers – there was basically just the three of us, so there was never any kind of release. – The bands that you were in in the ’70s – RAPID EYE MOVEMENT, 64 SPOONS – played different music from prog. Yeah, it depends on how you class progressive rock. Neither of those groups were very rock ‘n’ roll but there were elements of jazz. RAPID EYE MOVEMENT was Dave Stewart and Pip Pyle – half of HATFIELD AND THE NORTH and NATIONAL HEALTH – and the first tour that we did we did some of that material as well as new things, so I guess it should be encompassed as part of progressive rock. I don’t know: it depends on what you think progressive rock is. – Did you see yourself as part of Canterbury scene? I’m perceived as being that because of who I worked with and for, but in reality I’ve been to Canterbury twice, so I’m not really… But because I’ve worked with Dave and with Pip, and with Peter Blegvad, and with John Greaves, and various members of HENRY COW, I guess I am, yeah. – Very interesting, then, that you were signed to Stiff Records who specialized mostly in punk and new wave. Yes, although I guess there was a moment there in the ’80s where some of those musicians that you’re talking about crossed over and became successful commercially, like Peter Gabriel and GENESIS I suppose. I imagine that Stiff Records saw me as a potential maker of singles that would sell lots of copies; that didn’t happen but I’m sure that’s what they thought. – Singles – not albums? Well, that was an era when the singles sold the albums, while in the ’70s you could sell albums. There wasn’t an album culture in the ’80s. – When did you feel that you became a songwriter and not only a musician? I used to write from the very beginning – I always wrote or co-wrote the material in every band I was in. And then, I think after the punk thing, at the dawn of the ’80s, I remember hearing Peter Gabriel’s first couple of solo records and I thought, “You’re still being musical, you’re still being harmonically interesting, you’re still doing all those things – just in a much more… smaller chunk. So I suppose in my head I thought, “Oh, I can apply the things that I liked about what we’re calling ‘progressive music’.” I thought there was a way of maybe combining, utilizing elements of that in a more commercial way. – Commercial? So what was the story of you refusing to give your song to Whitney Houston? (Laughs.) The thing was, Gavin was going out with a girl who was in a quite famous group in England, and she was toying with going solo, so I wrote a song for her. The woman who was managing me at the time was in America, and she called me and said, “I’ve just had a meeting with Clive Davis at Arista [Records]. He really liked your song and he would like to use it for a new artist who he’s apparently recording.” I’d never heard of the artist, Whitney Houston, and neither had anyone else, so I said, “No, no, no, they can’t have it, because I’ve written it specifically for my friend’s girlfriend.” It’s only a funny story in retrospect, because at the time it was just another singer on another label. – Wasn’t it a sign of the strength of your song if an upcoming black female artist was to cover it? Well, they must have thought it was appropriate; it doesn’t necessarily mean it was any good. – So it wasn’t as funny as your meeting with Michael Jackson? No. But that was an odd day, and that wasn’t planned. I found myself in the studio one day with Michael Jackson, because I’d worked with a horn section and I got on very well with one guy in particular, and I used to stay with him when I went to Los Angeles. They were recording, and he said, “Come down to the studio – the guys would like to see you.” I hadn’t seen them for a couple of years, so I went there and I didn’t know when I got there that that was what they were recording. It was the horn day for “Bad” so I spent the whole day in the studio with them and Michael Jackson and Quincy Jones. – Talking about funny things: did you ever have a laugh with Bill Rieflin about your playing with RAPID EYE MOVEMENT and his with R.E.M.? No, it’s never come up; I’ve never mentioned it. I think Dave Stewart called it R.E.M. before they did. – And since we mentioned female artists… Did you really play on a song I love: Sam Brown’s “Stop”? (Enthusiastically.) Oh yeah. Gavin plays on that, too: Gavin is the drummer on it. Sam Brown was a backing singer in my group, a group that we did a TV show with, and I knew at the time she’d been writing songs. She’d just got a deal, and I had no idea about what I thought her record would sound like, but then, when I heard the songs, I was really amazed – I thought they were really good. So Gavin, myself and some of the other guys in my band ended up recording a lot of that stuff on her album. – Then you played with LEVEL 42. It was after “Lessons In Love,” right? Yeah, yeah. No, I didn’t join LEVEL 42 until about ’89-’90. 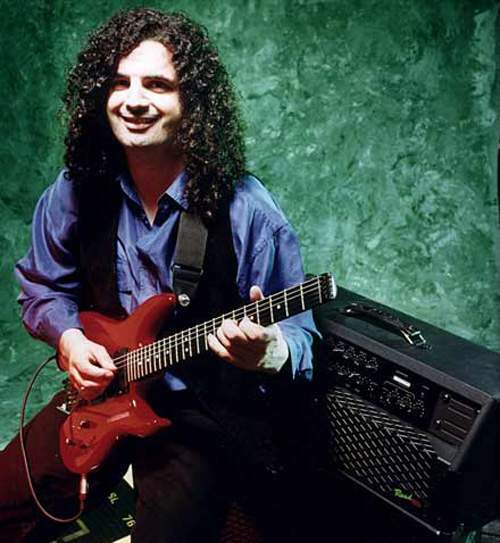 The previous guitarist, Alan Murphy, was a very good guitarist, and he died rather tragically. At the time, I was working with a songwriter called Tom Robinson of “2-4-6-8 Motorway” fame, we made an album together [1990’s “We Never Had It So Good”] that I produced and co-wrote with him, and we did a television show in England, and Mark King from LEVEL 42 happened to be watching it. I have been recommended to him by a number of people, including a friend of mine Nik Kershaw, and when he saw that, he thought, “Oh, that’s the guy everyone thinks I should work with!” and he was suitably impressed with me singing and playing live, so he asked me to join the band. It was the band that I was aware of, and the guy who was working with them temporarily, before I joined, was Allan Holdsworth: it was a great job. I got to play solos all night with great musicians. That was the thing – it was a band that was commercially successful but also had a reputation of being [comprised of] very good players, so it was an honor to be in that group. It’s not so much my kind of music necessarily, but I enjoyed doing it, and I enjoyed playing with those guys. Gary Husband was the drummer on the first LEVEL tour that I did, a drummer in Allan Holdsworth’s band and now a keyboard player in John McLaughlin’s band, so there was a crossover there: Mark King loved all that stuff – he loved MAHAVISHNU ORCHESTRA and Chick Corea. – With this level of exposure, how come that you self-released your “Waves Sweep The Sand” album? “Waves Sweep The Sand” is just a little album of outtakes from “The Bruised Romantic Glee Club”; after I put this out, there were all those other things that I did at the same time but that weren’t finished. So I thought, “Well, that’d be a shame for them to disappear forever,” so I put it out myself, because it wasn’t really a proper album in my head. – Could “Bruised Romantic” be a description of yourself? – You dabbled with theater and Canterbury scene and comedy. It all came together on "Neil's Heavy Concept Album" where you played “Lentil Nightmare” which was a parody of KING CRIMSON’s style. Do you find it ironic now? No, no, no, no, no, no. It was a joke. I met Nigel Planer, who plays Neil, when I did an acting job and was in a TV series with him; we got chatting, and he was a big fan of all that kind of music. So I introduced him to Dave Stewart, we made this album and I toured with him, But I know what you mean, yes: it’s slightly ironic that I was involved in that and now I play with the real thing. – Somewhere in between these was 21ST CENTURY SCHIZOID BAND. When I spoke to Ian Wallace, then a new drummer with the band, he said he was starting to know you, and he liked that. He was a very nice man. I think part of the journey into becoming a KING CRIMSON [member] was also to do with me singing a song “Islands” at Ian Wallace’s memorial funeral. Robert Fripp was there, and he was very impressed, so that was another part of how I ended up in the band. – You were a lone guitarist in SCHIZOID BAND – not counting Ian McDonald, perhaps – and now you play like a second fiddle to Fripp. Yeah, but funnily enough I’m still playing some of the parts I played then, because Robert changed the way that he tunes his guitar. It means that playing some of the older parts became physically impossible, because they’re all over the place. So I play some of Robert’s parts on the older material that he finds difficult to play in a new tuning. – Did “A Scarcity Of Miracles” that you recorded with Robert and Mel Collins prepare you for this job? “A Scarcity Of Miracles” started off when Robert invited me down to the studio, in DGM, just to improvise, so we improvised for a day, and we had these bits that were partly him setting out the soundscapes and two of us playing together. Then, in the end of the day, he gave me the hard drive and said, “Take them away,” and I said, “And do what?” He said, “I don’t know,” so I could start on them following where they went: I tried to stay true to the nature of what we did – it was all improvised so I didn’t chop it up, and I overdubbed various things and built up [on it]. I’d no idea whether there was going to be an album or what; it was just an exercise, it was just an experiment. But we got to know each other, and he said, “Let’s get Mel involved.” Originally, I put fake drums on it and I played the bass, and I said, “Let’s get some real bass on here,” and Robert said, “I’ll send it to Tony [Levin],” so Tony played bass. Then I said, “It’ll be good to have real drums. What if I send it to Gavin?” And suddenly, we had the basis of the current line-up of CRIMSON. – What have become, then, of your dictatorial tendencies? I was always an arrogant and very insecure young man, and sometimes that’s how it can manifest itself. I think that you learn – sometimes, quite late on – that if you’re going to collaborate with somebody, you can’t be dictatorial; otherwise, what’s the point in collaborating? If I want to make a solo record, I can make all the decisions and I can do what I think is appropriate. – With SCHIZOID BAND and “Miracles” behind you, did you have any preconceptions – or misconceptions – about CRIMSON? Um, the SCHIZOID BAND was very, very difficult – I found it very difficult to work with some of the characters – and that was a bit of an eye-opener. And I think the other thing you realize is that sometimes you work with people whose work you admire greatly, and sometimes those people aren’t fully aware of what it is about what they do that people liked. That was intriguing and an interesting thing to discover: they’re almost oblivious [to it] because they do what they do and they do it in the context that was with those other guys, and they made this extraordinary thing, but… Sometimes they would make decisions about what we were doing that seemed to be counterintuitive to that, and it showed them to not really [know what it was]. The thing that people liked about CRIMSON was that they didn’t really understand what it was, and that’s why I think Robert is still at the helm: he has an idea and a vision of what CRIMSON is and what it sounds like. And if he’s not in it, then it’s not CRIMSON, it’s as simple as that. – And still you were surprised when he asked you to join the band? Well, I was surprised inasmuch as he had previously announced he had retired from music. But I guess I wasn’t so surprised because, as you pointed out, by doing these different things I was kind of within the CRIMSON circle: I’d been working mixing some of the CRIMSON albums, so I was in that enclave, and on that level it wasn’t such a big surprise. The real surprise was that he was going to do that at all, really. – Were there any surprises when it came to actual playing? Any challenges? Yeah. You know, it’s always different on the inside, and I was very nervous about playing with the likes of Tony and Robert. But then you get used to it and you become one of the guys in the group, and their attitude is great. As for challenges, it was playing some of those parts that Robert can no longer play – it was very challenging technically, it was daunting at first. I didn’t think I could play some of this stuff, but I worked my way through it. – I guess having three drummers in the line-up didn’t make it easier. That seemed like a mad idea when he sat them at the front, but when you see it live it’s extraordinary. It’s extraordinary for a lot of reasons: if the drummers rehearse all on their own, Gavin has written these amazing arrangements, so they’re all locked in – it’s not guys just playing the same thing. It’s amazing! On some tunes you can hear that the stuff goes from one side to the other – it’s very elaborate. And there’s something about putting them down the front and us at the back: it gives it an egalitarian thing that I don’t know if CRIMSON’s had in a while, so you see it’s almost like a mini-orchestra: people playing to the greater good rather than it being one guy, a front man, and a backing band. – Is it demanding for you, rhythm-wise? You know there’s a lot of stuff that’s demanding within the set; there’s a lot of very complicated material; there’s a lot of times where several members of the band are playing in different time signatures to the other members of the band. I don’t know if that’s more difficult for the drummers, but sometimes it is because the rhythms are split up, and I think there are rhythmic elements within the group whether there’s one drummer or three drummers that’s make it a challenge anyhow. – Adrian Belew brought Beatlesque melodicism to the group. What do you think you’re bringing into it? I don’t know. I bring whatever it is that I do, I suppose. I’m not sure I can be a judge of that. But on that tour we’re playing three brand new tunes, two of which I co-wrote with Robert. – Which of the previous CRIMSON era is your favorite? I like all of it; I like bits of all of it. I’m particularly fond of “Lizard” and I love the “Islands” period because that was the first version of the band that I saw play live, but all of it has merit… It’s an extraordinary thing where it seems like the opposite, but if you play any record from any era sometimes you think it’s a different band, and yet there is something central to it that unifies it, which is a kind of harmonic thing and an approach. So whether it’s an album from the ’80s, an album from the ’90s or one of the early ’70s albums, there’s always a core in there that sounds intrinsically like CRIMSON to me. – You first saw CRIMSON when you were 13. What did attract you in them? They weren’t really a teenager’s kind of band I guess. I don’t know. My friend played me “[21st Century] Schizoid Man” and I could tell, even at the tender age of 12 or whatever it was that I was, that this music was coming from a different place. All the other underground music of that era had its roots in blues, and this came from somewhere else. And it was otherworldly, excitingly strange and atmospheric, and it just spoke to me, and I loved it. – Is the “Schizoid Man” guitar that you play a tongue-in-cheek tribute to the band? Oh, it’s not tongue-in-cheek tribute; I thought it would look [nice]. The guitar company I’d been working with when I joined CRIMSON said, “Is there anything we can do? What if we make a special guitar?” And I said, “It’d be really cool if it had the cover of the first CRIMSON album on it.” I asked Robert if he minded, and he didn’t. I thought it might be a statement, but Tony Levin’s got a bass with one of the CRIMSON albums on it, and admittedly it’s an album he’s on, and I’ve got a new guitar which has got this new image. – Being a CRIMSON fan, are you still in awe of the band when you’re a part of it? No. I’m still in awe of the music, but you get to know people you work with, and you have these little in-jokes, and you get on with everybody, so it doesn’t feel like that. – So can you say that something’s been taken away from you when you joined? No, no. There’s still a magic to the music, even when you break it down and you learn how it’s played, it’s still has this quality to it. And the 13-year-old boy in me still cannot believe I ended up here. I always wanted to play music like this but I never thought I’d be actually playing that music in that band. – What kind of a discipline does it take to be in CRIMSON? You have to practice and be able to do [what it takes] to achieve the demands that are required,. I mean above and beyond that. You have to know how the parts are going; you have to be able to play them in front of thousands of people; you have to play these different things at the same time. So I think it requires a bit of nerve. – Even in terms of having a soundcheck before the third night of playing in the same venue? Oh, things change as people tweak things, and something happens to the sound on the night before… I don’t understand that: we use the same equipment and the same monitor sound, so you would think it would sound exactly the same, but somehow it doesn’t, so it’s always good to [check it]. And sometimes we run through a number we haven’t played in a long time but suddenly it’s appeared in the set. LIFESIGNS was out of friendship, because one of my best friends is their bass player, Nick Beggs, and I did that originally because we’d always talked about working together on something. And I did a lot of work on that album – hell of a lot of work! – loads of overdubs and solos, and I was very proud of a lot of what I did, and then I heard the final – or what I thought was the final – mix, and I wasn’t on it very much. But I haven’t heard the final album, so I don’t know if I’m on it at all. As for Steve Hackett, he phoned me up and asked what I’d like to sing on this album he was making, and again, along with CRIMSON, I used to listen to GENESIS when I was a kid, so they meant a lot to me, too. So I mentioned two or three songs to Steve, one of which was “Entangled” that I sang on that. I also appeared with him live a few times now. When he first went on [“Genesis Revisited”] tour, I did a couple of shows where I sang “Entangled.” Then, last year when I came off the road with CRIMSON, he was playing “Hammersmith” again, and I was going there purely social, with my wife – she likes this material as well, so we were just going to have a night out – and then Steve phoned me the week before and asked if we were still coming on Saturday, and I said there were problems with tickets so it would be difficult to see him in London. He said, “No, no. Would you fancy to come out and sing ‘Firth Of Fifth’?” And I said, (in trembling voice) “Ah, all right.” So I did that, and that was really scary. I didn’t think I’d be scared because I’d just spent two months in America with the band, but there’s something weird about being a guest in the middle of a long show: [usually] you walk on-stage at the beginning of a gig and you’re there and you go through it all, but to come and be backstage for about an hour and a half because you won’t come on until very late and then walk out in front of three and a half thousand people – it’s scary. But it was an enormous honor, and Steve’s a very, very nice man, and that music meant a lot to me as a child as well. In fact, when I sang “Entangled” the first time on “Hammersmith” I became aware of the fact that the previous time I had heard that song live was at “Hammersmith” – but I was in the audience watching GENESIS promote their album “A Trick Of The Tail” – so that was pretty special for me. One difficulty was remembering the words, but it didn’t strike me as being difficult to sing. – In the beginning of our conversation you referred to yourself as a guitarist, but what about your singing? I find it soulful. That’s very kind of you. I like singing and I do it to the best of my ability, and I enjoy singing for KING CRIMSON and, luckily, people seem to like it. As a singer, I was influenced by mostly English guys… Even when I was young, I became aware that these most singers sang in an American accent, and then I heard a couple of singers who didn’t like Matt Monro and Anthony Newley; when I got older, it was obviously Greg Lake, Richard Sinclair – I was an enormous fan of Richard Sinclair as a singer – and Robert Wyatt. I loved that English thing, because that’s where we from so why are we singing with that accent? I was very drawn to singers who sounded English. – You mostly sing melancholic songs, so would you sing a happy one? Well, those are the things I like I guess. I’m rarely inspired to write something cheery; I guess that requires a kind of motivation I don’t have. If I’m really happy I’ll write song about it, but it’s more of the blues, isn’t it? You’re filled with emotions, and it’s a way of expressing them. And if you’re happy, how much do you want to sit in a room composing something to express how happy you are? – But you do have the motivation to mix or remix albums by CRIMSON, ELP and JETHRO TULL. Yeah. (Laughs.) But it wasn’t motivation… Again, all of these things are accidents. During periods of my life where I had to earn a living, I started working doing music for corporate events – big, big events, you know – and I used to compose music to pitch for a good opening, and I started doing them in surround [sound] so I bought a surround system and worked out how to use it. So when this whole new idea of remixing albums in surround came up, I was able to put my hand up and say, “Actually, I do it.” And that’s why I mentioned it to Robert, when he asked me if I’d be up for remixing “Thrack.” And that leads on to… It’s not a heavily populated field: it’s basically like there’s Steven Wilson and there’s me. – Is there a competition between you two? – What have you learned in the process of it? It’s an amazing privilege to be able to listen to the multi-tracks of this music, and there is still something that goes beyond basic pragmatics of recording: ultimately, it’s a performance which microphones committed to tape. There’s some music that has a whole lot of kind of magic to it, and being able to examine those moments and play with them is a privilege. Sometimes, it’s a hard, detailed, complicated work, and I wouldn’t want to do it all the time – it would drive me nuts – but it’s been great. And it was really nice to be working with Ian Anderson – I like him enormously, and we got on very well. – Are there more classic albums you’d like to work with? Yes, there’s lots of things I’d love to do, but I think they are either so obscure they will never be re-released in that way, because there is insufficient commercial interest to justify doing it or paying for it, or Steven Wilson’s doing them. – So getting to the top of your game now, what kind of possibilities did open for you? I don’t know. I don’t know what it means. Outside of the band, I don’t know what the reality of that is. If I make another solo record, I don’t know whether it will get more attention than it would have done prior to me being in CRIMSON; I suppose it must to, to a degree, but exactly to what degree I don’t know. I don’t know if it would make any significant difference. Will it sell thousands and thousands of copies or will just it be written about because of the association with the band? In all honesty, I don’t really know if it makes an enormous amount of difference, because I think KING CRIMSON fans like KING CRIMSON and this doesn’t necessarily mean they’re going to like me or be interested in me. It’s definitely a perception, obviously, I understand that: there’s an interest in me from the magazines that wasn’t there before. 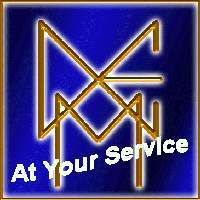 – Will there be KING CRIMSON beyond this tour? For how long you think you’re going to run? Beyond this tour? Yeah. I think there’s a plan, but whether it comes to fruition is out of my hands – and it might be out of everyone’s hands, because you don’t know what’s going to happen – but in theory, yes. – Did you think of what’s going to happen to you when it’s over? No. I don’t think about those things. I’ve never had a plan, and when I did have a plan it didn’t work, so I think you just have to trust the stuff will happen. You do as much interesting stuff as you can, and you try and generate things and hope that they will be received. We live in a very, very different world, and we’re in a privileged position: I happen to be playing in a band that has a fanbase that are prepared to go out and see shows and are prepared to buy records.